Varsity Club Lounge, 24676 Ford Rd, Dearborn Heights, MI 48127 was cited for Multiple Violations Adulterated, Misbranded or Refilled liquor bottles on February 06, 2017 by the Michigan Liquor Control Commission. The Commission issued a total fine of $1200 plus a 60 days-license suspension. In the case versus Varsity Club Lounge, 24676 Ford Rd, Dearborn Heights, MI 48127, the commission specifically noted the brands of alcoholic beverages involved, included in the violation list was 10 High kentucky bourban whiskey, Havean hill rum, Hevean hil dry gin, And/or five o’clock Vodka. The Michigan Liquor Control Commission. ordered that an additional liquor license suspension would be incurred if the fine was not paid within the prescribed time allotted by the order. The multiple violations cited by the Inspectors and adjudicated by of Michigan Liquor Control Commission. against Varsity Club Lounge, 24676 Ford Rd, Dearborn Heights, MI 48127 points to a pattern of ignoring Liquor Laws. Retail establishments are expected to adhere to the terms of their license to protect the integrity of the alcohol being served and the safety and health of their patrons. Each of the 3 major violations cited against Varsity Club Lounge, 24676 Ford Rd, Dearborn Heights, MI 48127, are in themselves serious violations of both the terms of their liquor license as well as the trust that consumers place in them when ordering alcoholic beverages. Adulterating, Misbranding and Refilling Liquor Bottles are all serious violations that go to the heart of the three tier system established for the safe distribution and consumption of Alcoholic Beverages. When an establishment such as Varsity Club Lounge, 24676 Ford Rd, Dearborn Heights, MI 48127 adulterates, Misbrands or refills liquor bottles, the label on the bottle no longer is a true representation of the liquid contained in the bottle. The label states the brand and is coded with the distillation information, including date and production facility. If an establishment such as Varsity Club Lounge, 24676 Ford Rd, Dearborn Heights, MI 48127, adds a different liquor to the bottle, waters don the liquid or adds a foreign substance to the labeled bottle, the contents can no longer be traced back in the event of a health or safety issue. 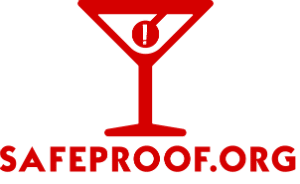 SafeProof.Org issues a warning to consumers for Varsity Club Lounge, 24676 Ford Rd, Dearborn Heights, MI 48127 because of multiple violations as cited by Michigan Liquor Control Commission.